Rhonda Sloan and Colleen Morgan of Macy’s Department Store found the inspiration behind their Holiday Tree Festival tree design from the poem Pennies from Heaven. 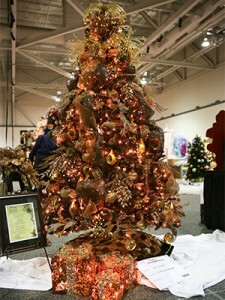 Their tree is one of many unique trees you can see at this year’s 33rd annual Holiday Tree Festival at the John S. Knight Center through Nov. 30. Admission is free.